Baptismal clothing for spring or summer baptism. Beautiful color combinations, in trousers and vests to make any choice you fit. 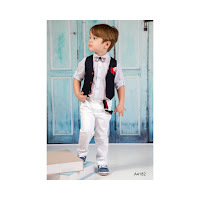 The pants are glossy cotton in white and beige and the vests in blue and dark blue. 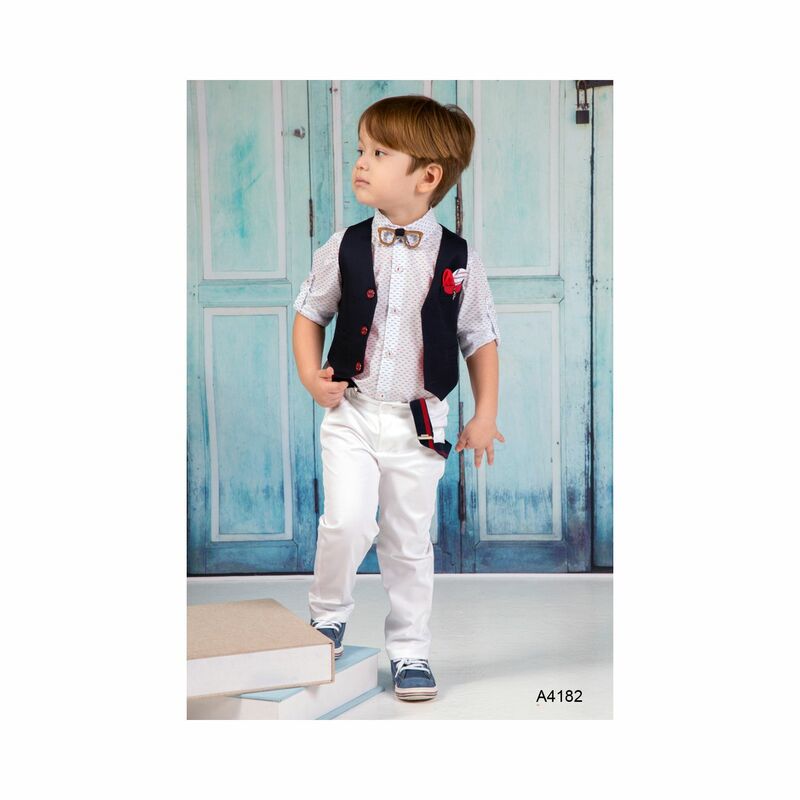 Both sets are accompanied by a white shirt and very beautiful modern wooden bowtie. The trendy style of the bracelets hangs from the outside. in blue or white. 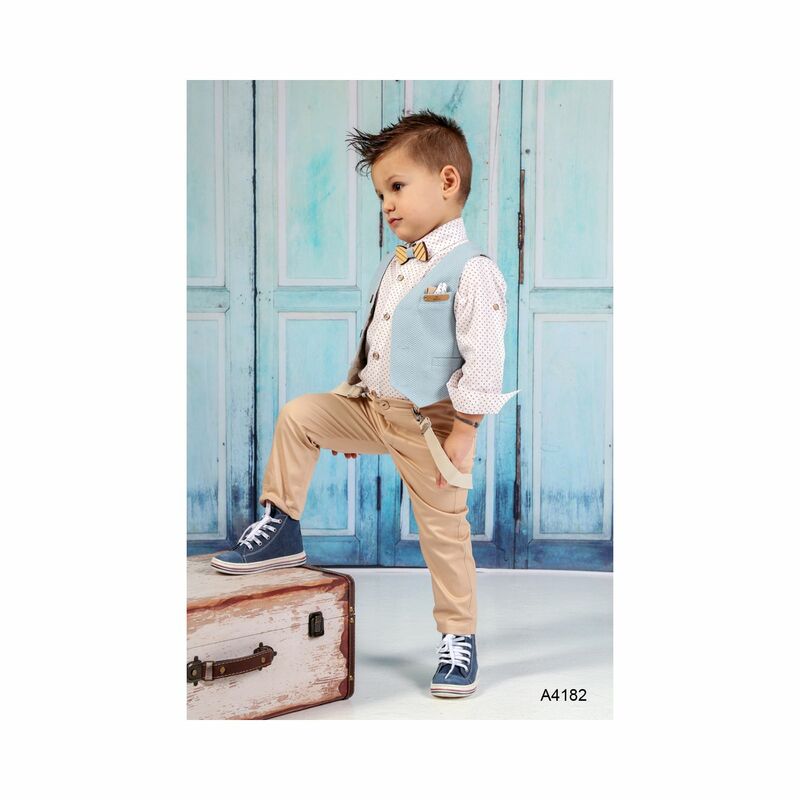 https://www.preciousandpretty.com/2018/07/greek-christening-clothes-for-boys-A4182.html Greek Wedding Favors|Orthodox Crowns|Stefana|Baptism Invitations Greek Christening clothes for boys A4182 Greek christening clothes for boys in modern style, two color combinations. Product #: Greek Wedding Favors|Orthodox Crowns|Stefana|Baptism Invitations_7928992857573278300 5 stars out of 5 reviews.